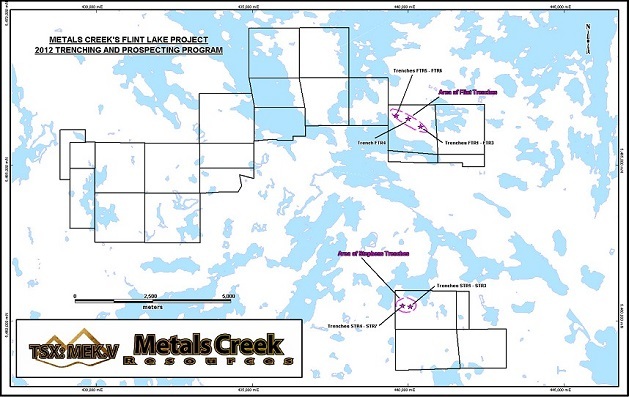 Metals Creek has earned a 75% interest in the Flint Lake Gold Property, located within the Kenora Mining District in Northwestern Ontario. The Property consists of 25 unpatented staked mining claims, distributed over three separate claim blocks, totaling over 4600 hectares. These claims are either owned by Metals Creek or pursuant to the option agreement with Endurance Gold. The Property lies within the central portion of the east-trending Wabigoon Sub-province and is host to numerous gold occurrences which have seen little or no exploration in recent years. 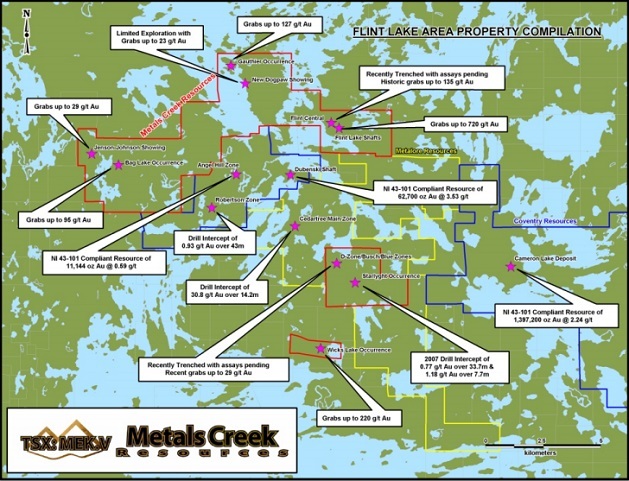 This portion of the Wabigoon greenstone belt is an emerging gold camp with exciting drill intercepts and resources coming from both Coventry Resources and Rainy River Resources. 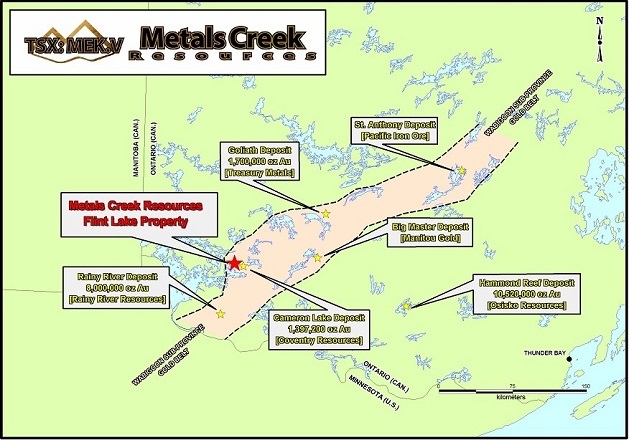 Metals Creek has a significant prospective land package in the Cedartree area and is moving the project forward to the drill stage. 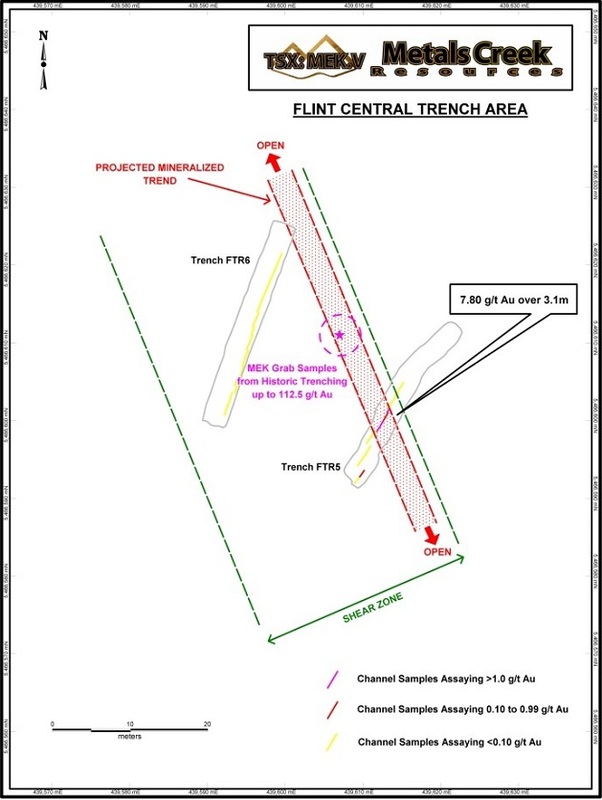 An initial phase of prospecting and mapping by Metals Creek was performed to help better define known historic gold showings, as well as to further evaluate the Property for additional mineralization. A total of 309 samples were collected with assays up to 90.510 g/t Au. 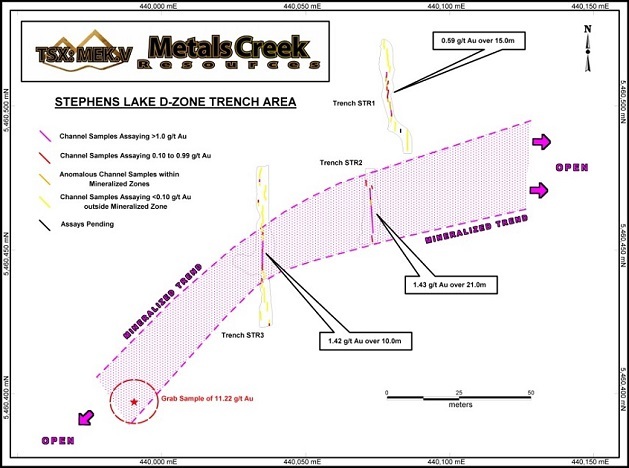 This program resulted in the discovery of 3 new gold showings on the Stephens Lake claim block, with assays returned up to 29.5 g/t gold within broad zones of carbonate alteration with associated pyrite mineralization within what is interpreted to be North-South trending structures up to 50m in width. 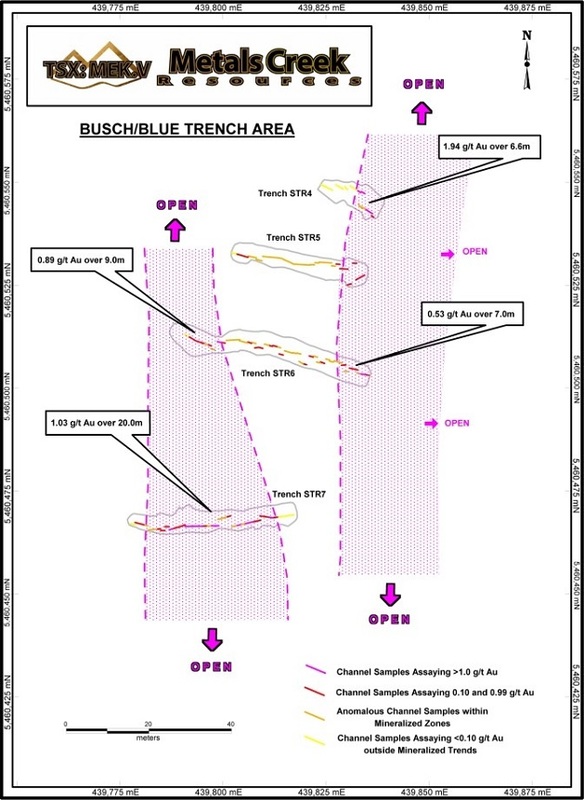 Very little historic work has been performed in the vicinity of the 3 newly discovered gold showings and thus the Corporation is excited about the potential for additional discoveries in the same area.